For our wedding, we offered 3 types of desserts (cheesecake, chocolate cake and mango cake) that were each topped with candy airplanes we handmade. 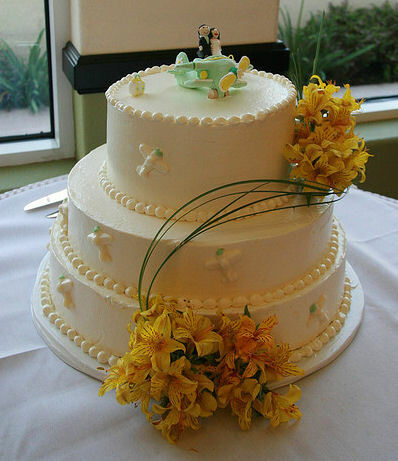 We used Wilton candy melts in white, yellow and green. First, we melted the candy in the microwave, and then Yoongu expertly poured the candy into these great airplane candy molds I had purchased from a candy store in Glendale. He then had shook the molds gently to get out the air bubbles, and make the bottoms smooth (top right in the photo above). 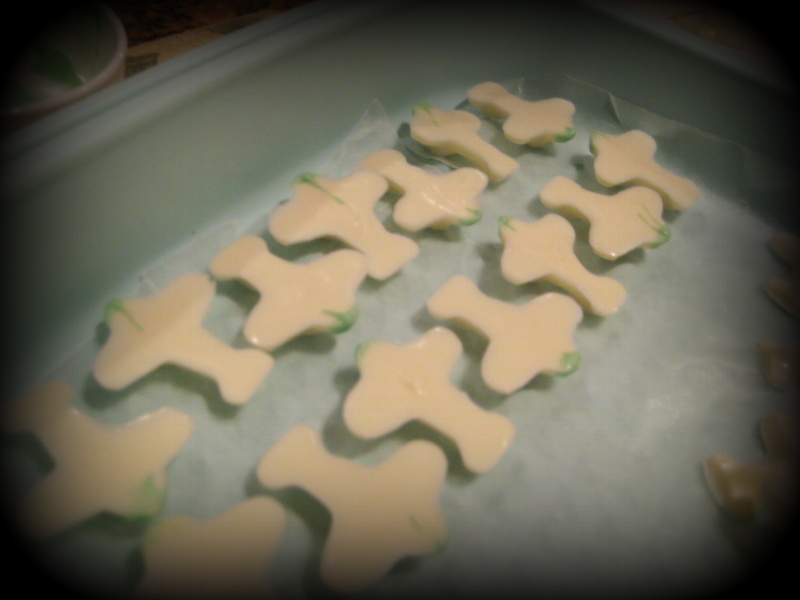 Afterwards, the molds went into the fridge for five minutes for the candy to set. Once they were popped out, it was time for dipping! Each plane was dipped in either light green or light yellow melted candy to decorate the tip of each plane. 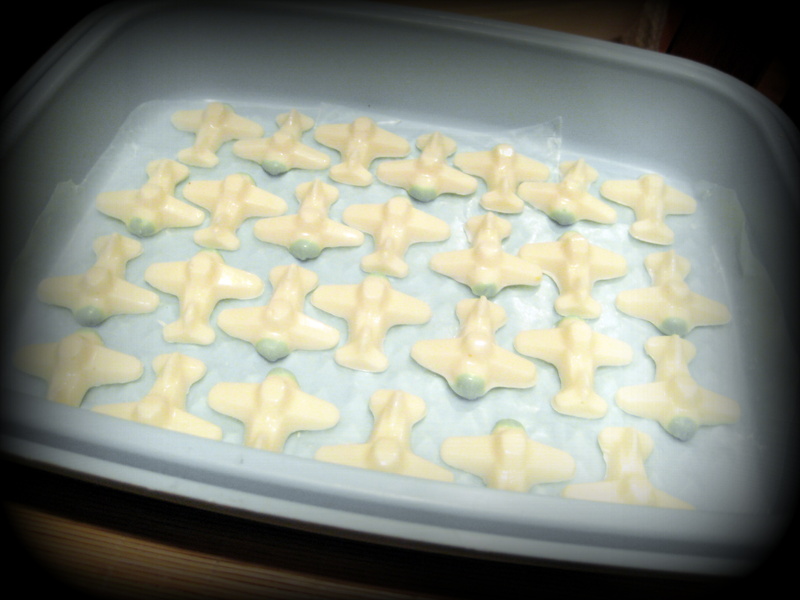 Then I placed the planes upside down to make sure the tips didn’t stick to the wax paper while they dried. Afterwards, it was beautiful to see our little fleet of candy planes! We made enough airplanes to top each guest’s dessert, and to decorate our wedding cake. 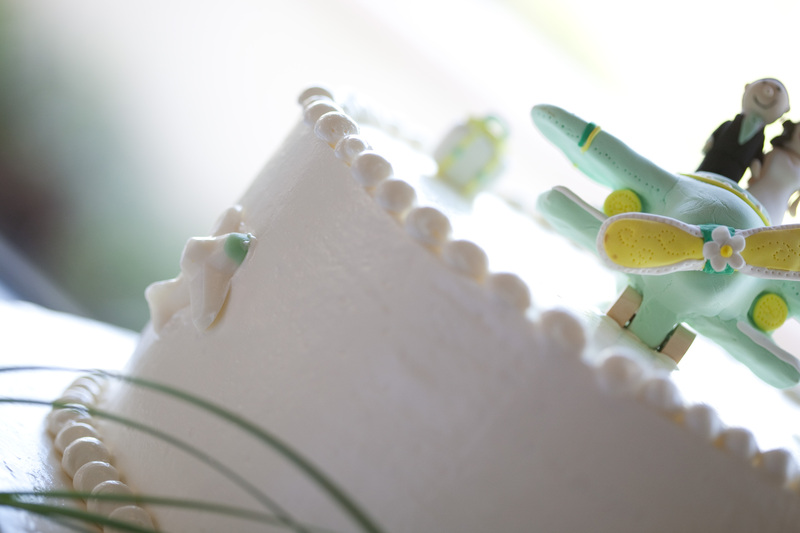 Our baker did a great job incorporating all the elements I asked for: our candy airplanes, our handmade cake topper, our wedding flowers (alstroemeria) and lily grass. She even made sure the flowers and lily grass were in multiples of 7 to ensure extra “blessings” and good luck! It was a lovely day where I had my cake and ate it, too!